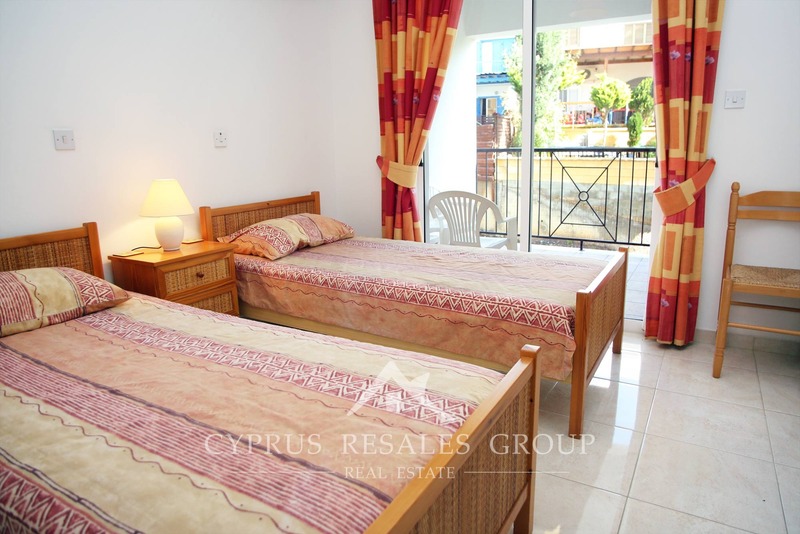 Kings Danaos is located only 400 meters from the seaside. 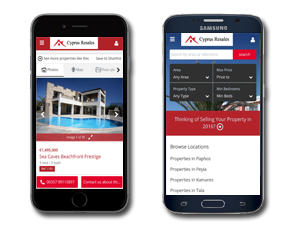 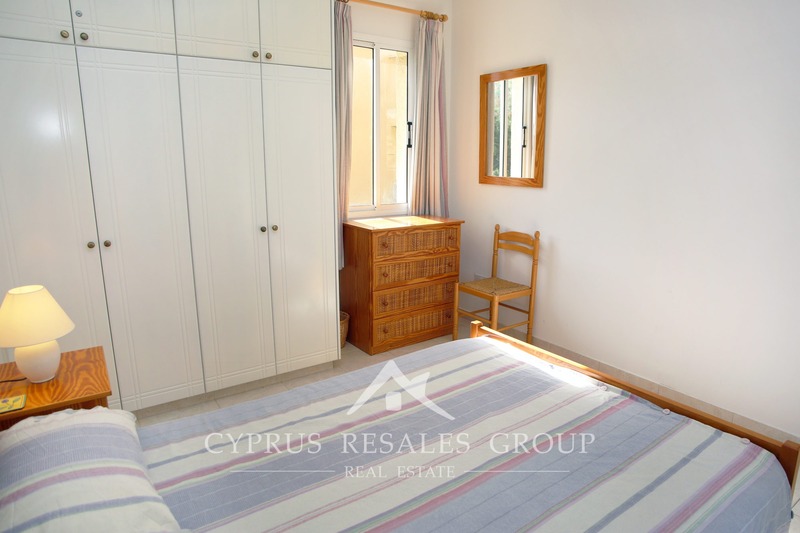 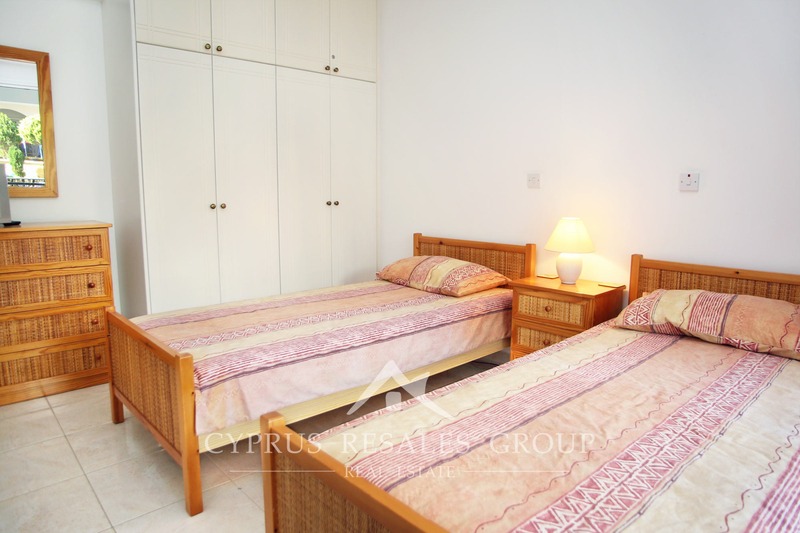 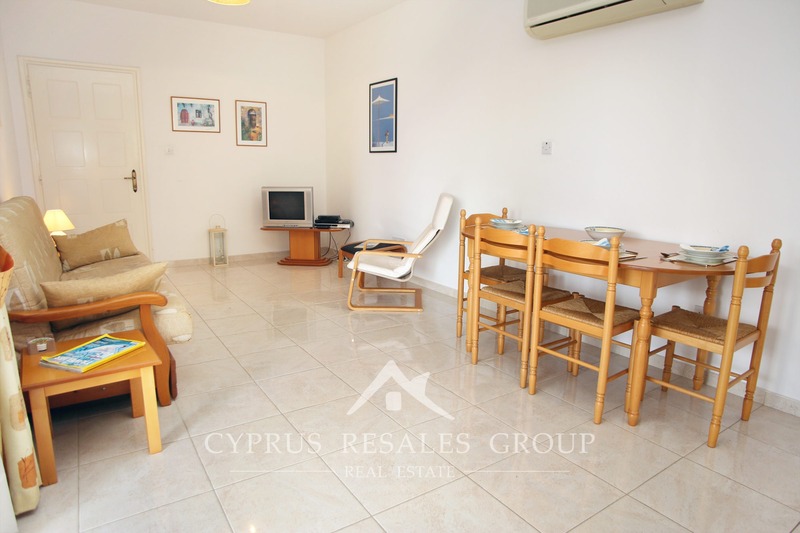 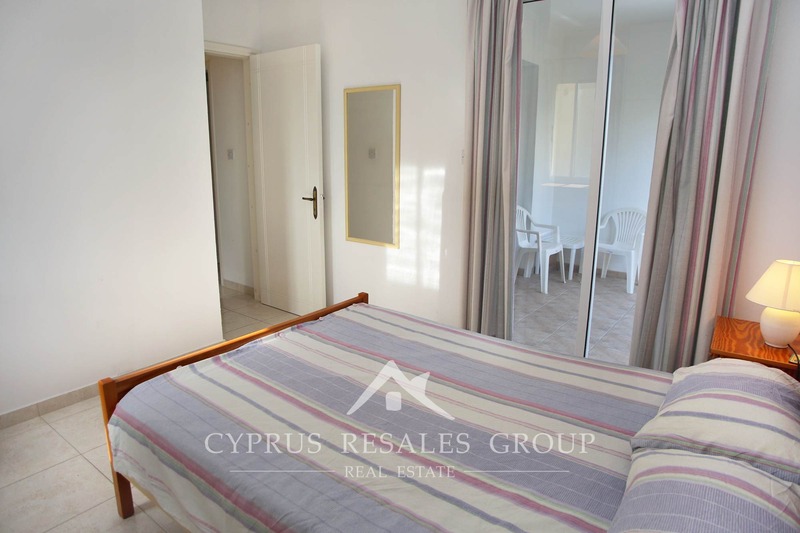 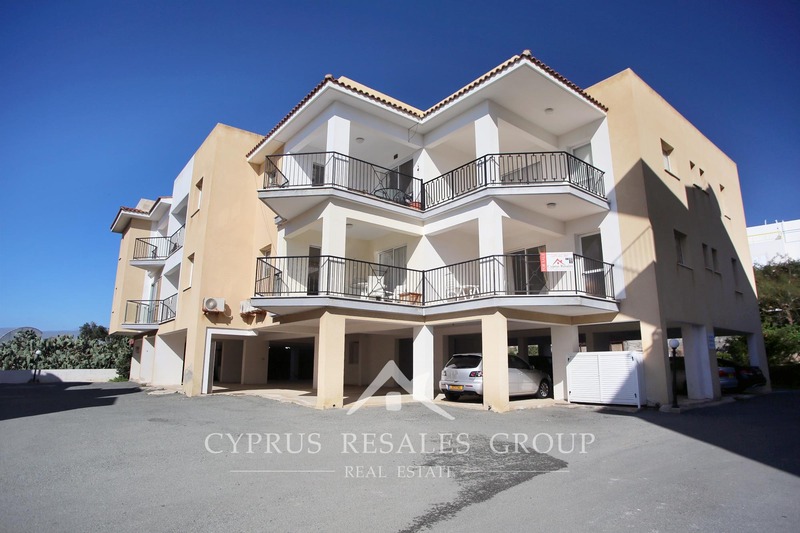 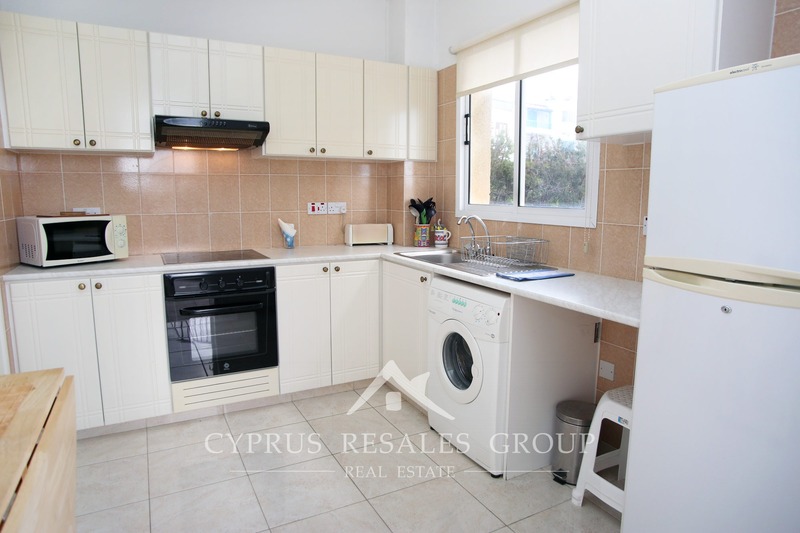 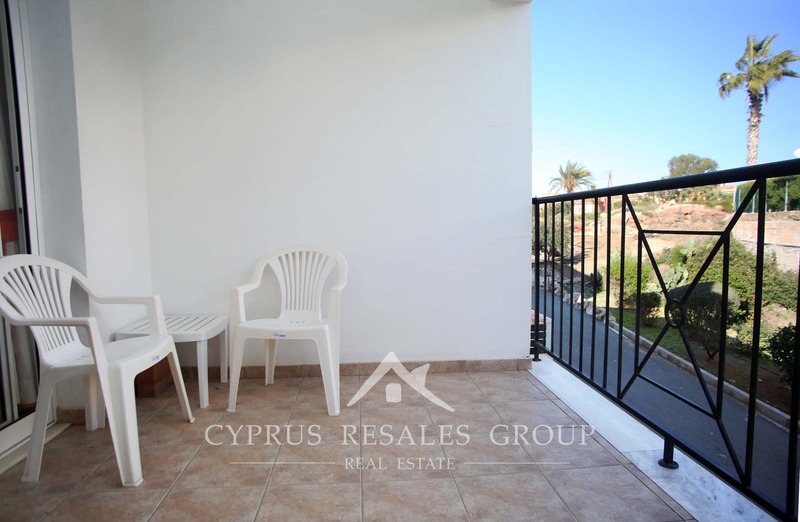 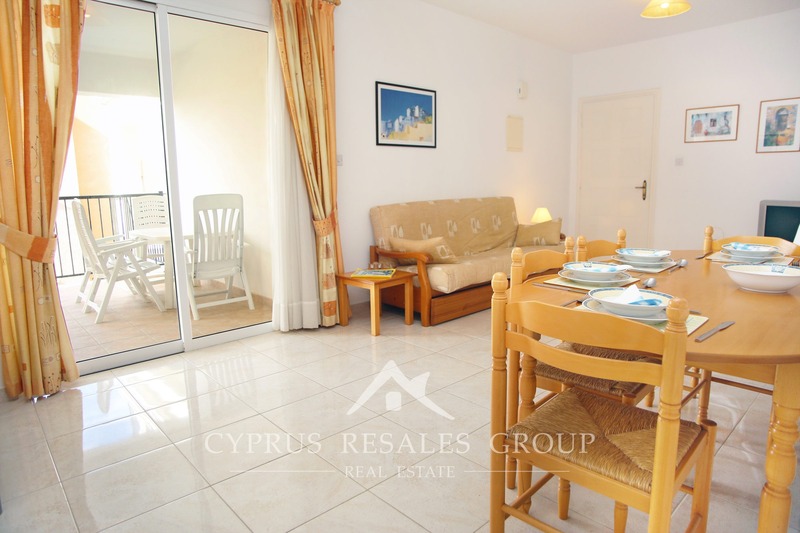 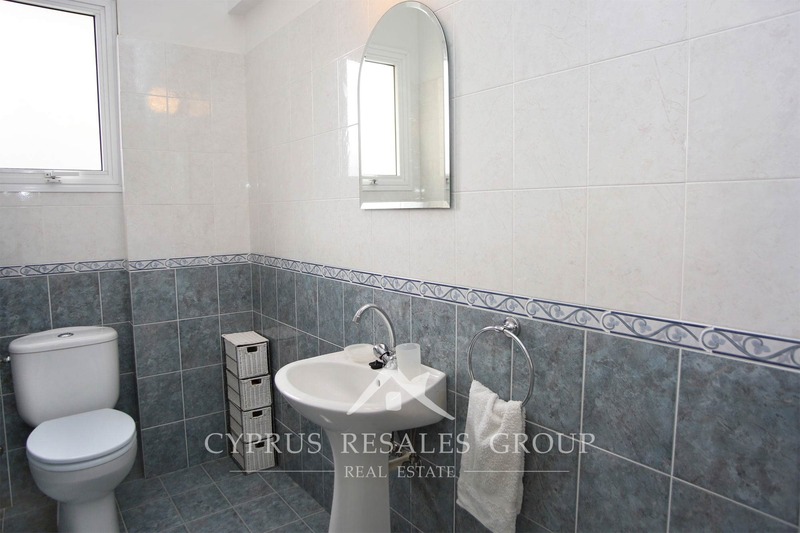 Nestled just behind Leptos Kings Palace you will enjoy a premier location with the usual ''Cyprus Resales'' benefits of realistic price and TITLE DEEDS. 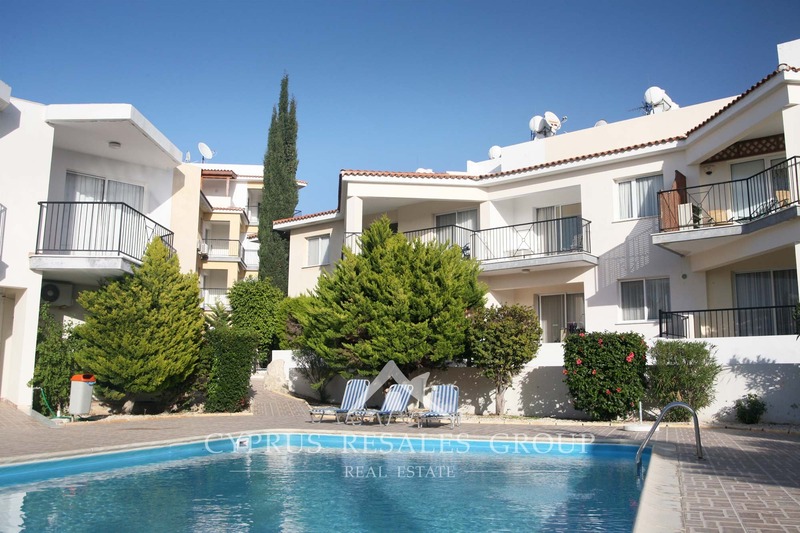 The complex centers around a large swimming pool and kids’ pool. 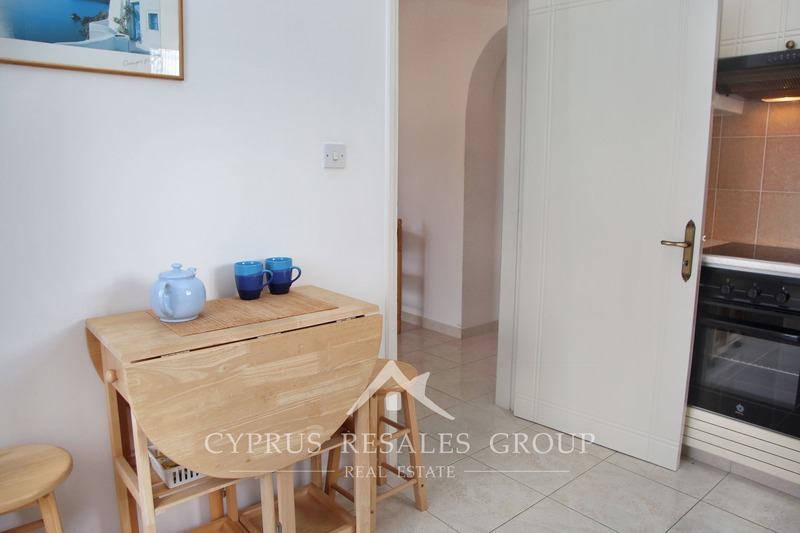 This tidy property enjoys a prime location on the first floor with two covered verandas and one full size family bathroom and a separate W.C. Additionally it benefits an allocated covered parking. 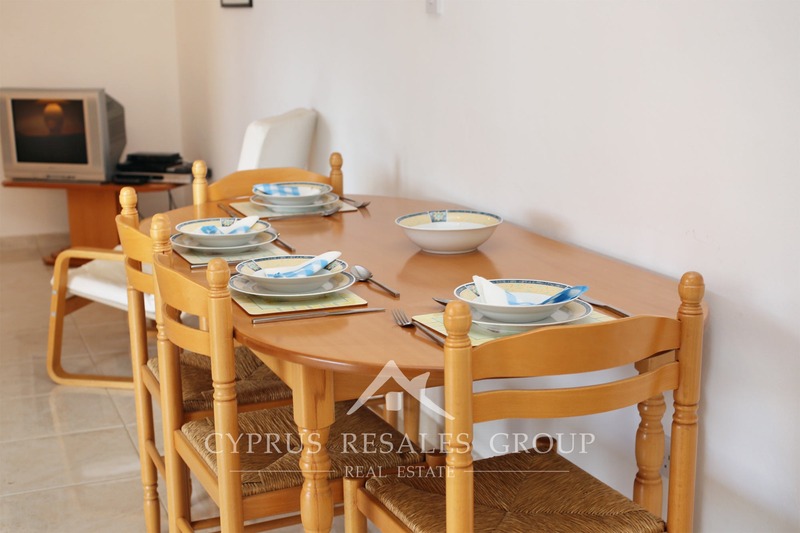 The open plan nature of the lounge and a smart kitchen creates a bright and airy living space. 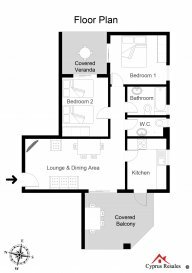 Living room benefits access to a well-proportioned covered veranda. 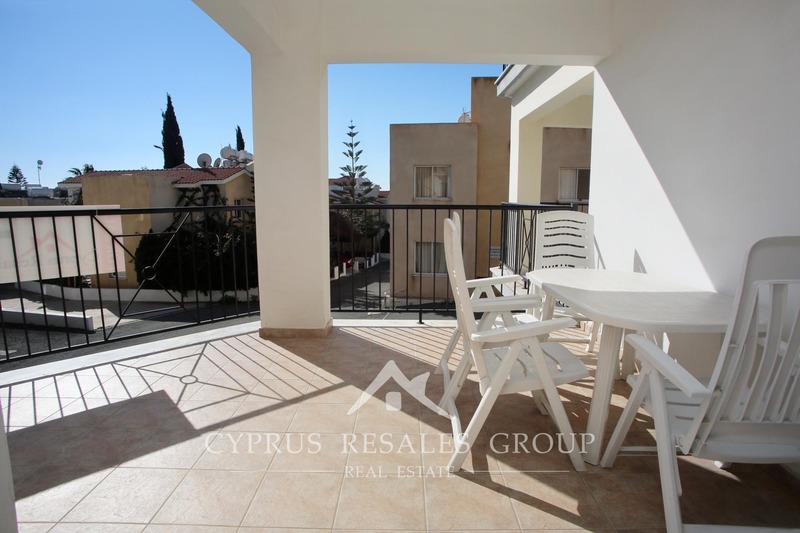 This wonderful outdoor space will prove useful for entertainment and relaxation throughout the year. 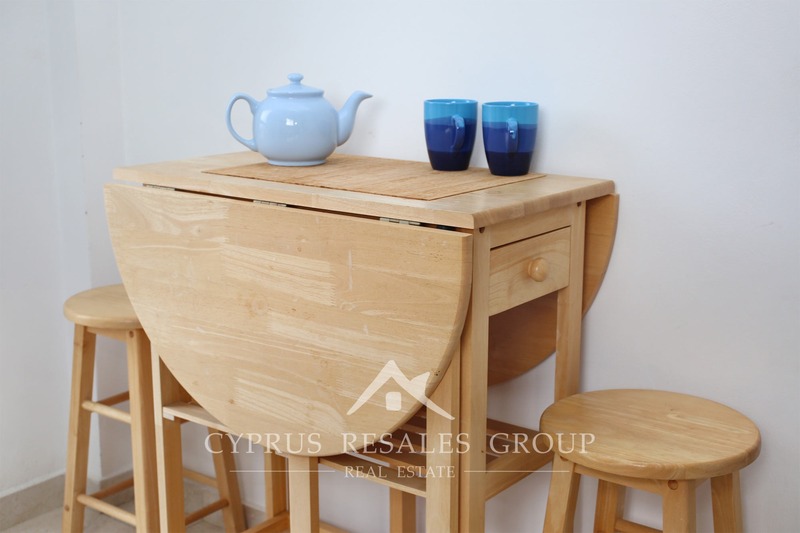 Back inside, we have a blend of comfort and practical facilities provided by fully equipped kitchen which will fulfill all you need to the letter. 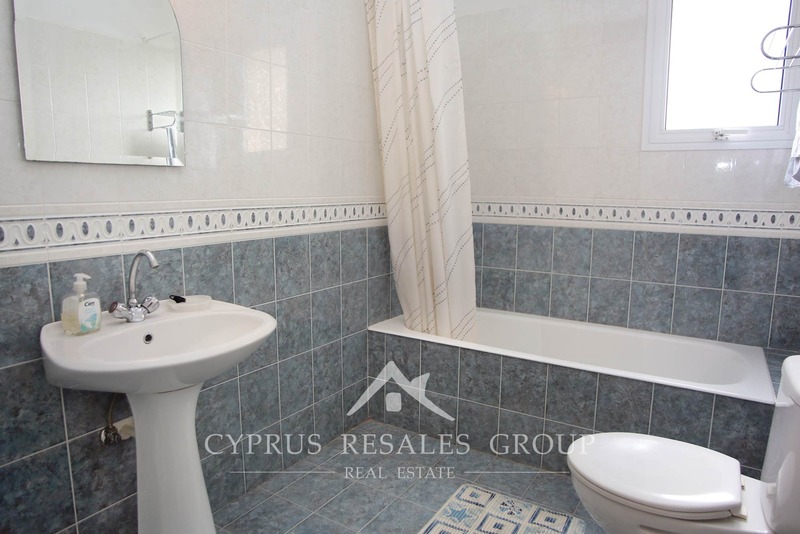 Two double bedrooms with fitted wardrobes and full sized family bathroom complete the interior. 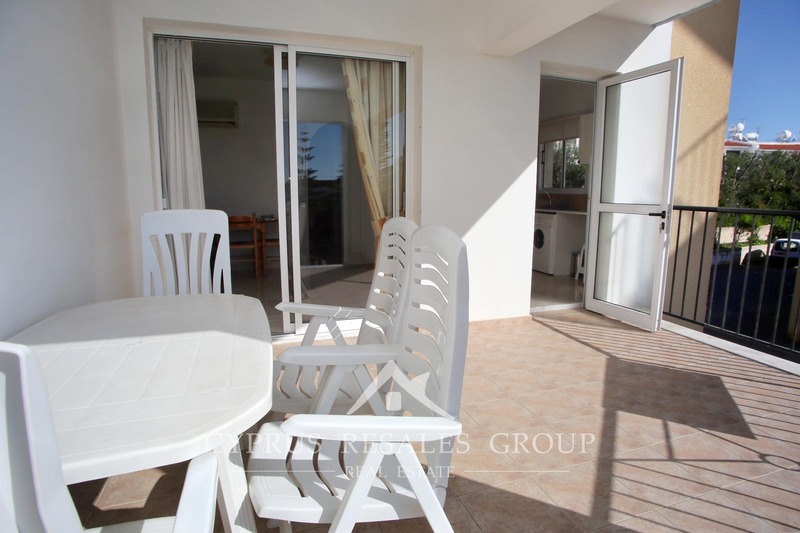 At King Danaos there are all sorts of amenities right on your door step: from excellent Lidl supermarket to the regular bus route taking you in to the sandy beaches of Coral Bay. 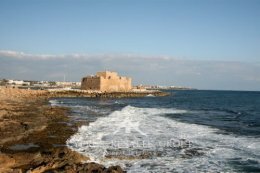 The pretty Paphos Harbor, UNESCOW world heritage site with beautiful amphitheater and new Kings Avenue Mall – are all close by. 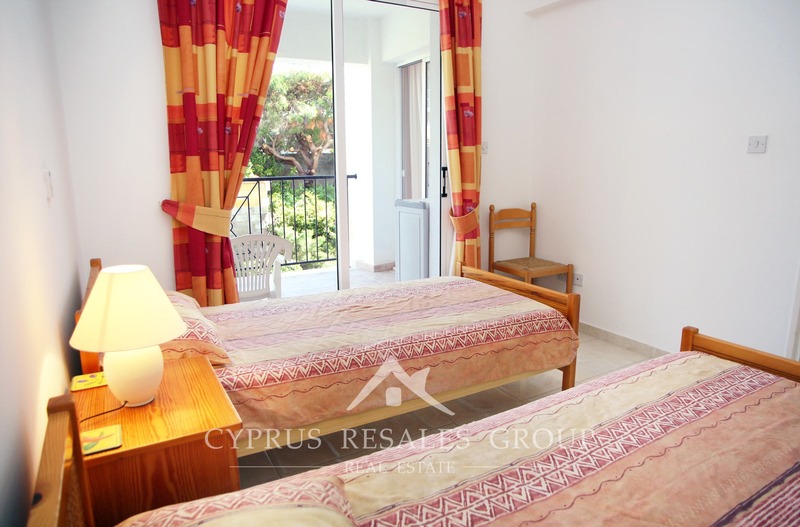 Here you will have a wide and varied choice of entertainment and sightseeing. 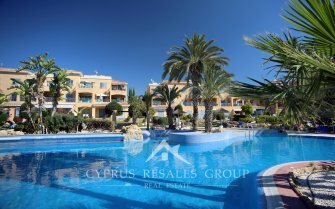 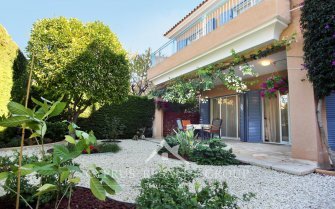 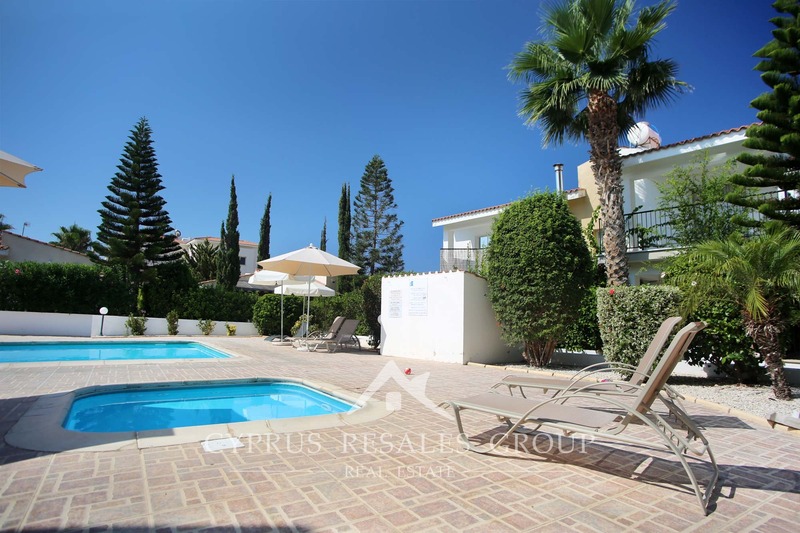 A perfect buy to let investment or well located holiday home, the choice is yours. 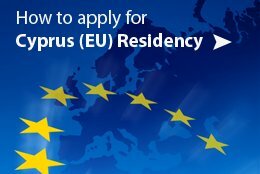 Yearly Common Fees: €850 Approx.